Board a bus from Tokyo and make your way to Mt. Fuji 5th Station with a few extra stops along the way! Two hours away from Tokyo, you'll find the incredible Mt. 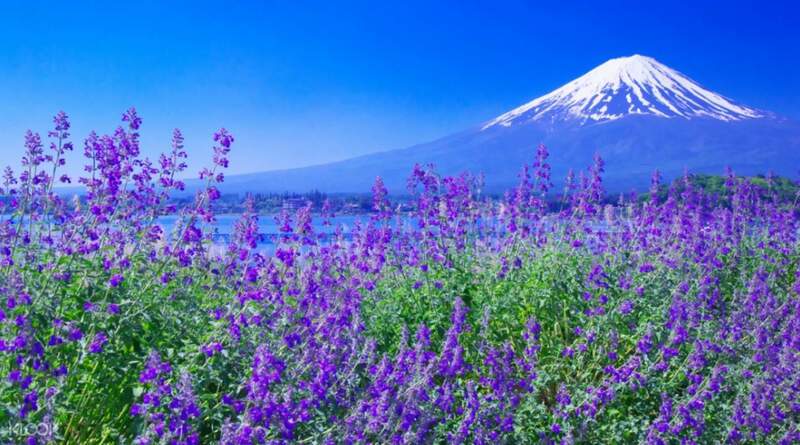 Fuji, an iconic pilgrimage site for tourists and locals alike. Though quite a distance from the city, there are a number of interesting activities that you can take part in on your way to the famous volcano! On this comprehensive day trip, not only will you find yourself at Mt. 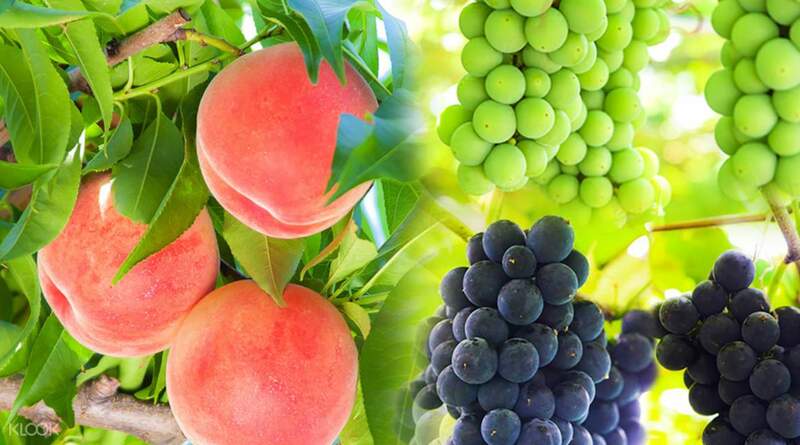 Fuji 5th Station, but you'll also make a stop at the Yamanashi Prefecture Sightseeing Orchard where you'll spend half an hour picking and eating as many fruits as you please. On the way, you'll also visit the Kawaguchi Lakeside Park where different beautiful flowers bloom depending on the season. Before the tour continues, take a break for lunch at the Lakeside Restaurant, where you'll get unobstructed views of Mt. 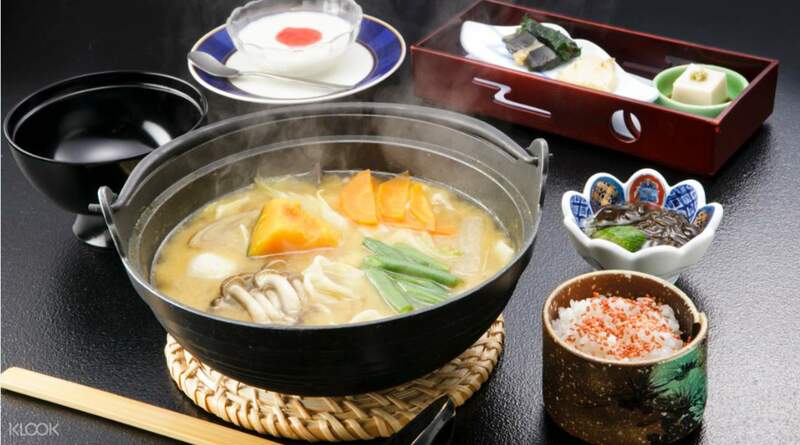 Fuji as you dine on Houtou noodles, famous Udon noodles of the Yamanashi Prefecture, together with a lunch set made from fresh ingredients. After lunch, head to the Mt. 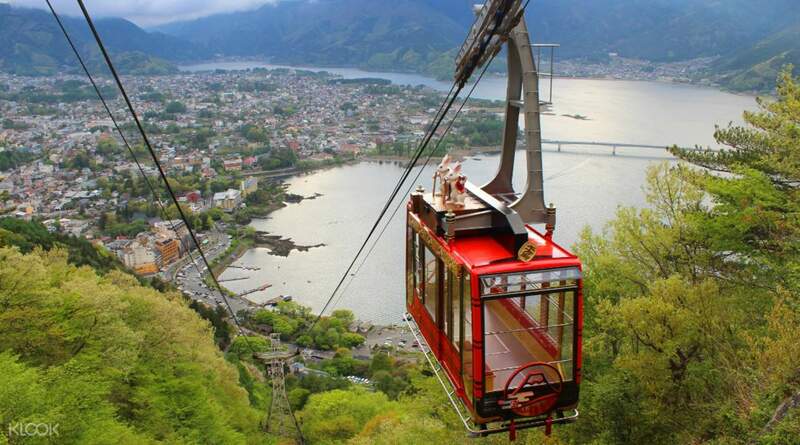 Kachi Kachi Ropeway where you'll board a cable car that gives you panoramic sights of the surrounding areas. Here you can fins shops and shrines that you can explore at your leisure. Finally, your tour will take you to Mt. Fuji 5th Station where you'll get magnificent views of the sea of clouds on a good day. Snap a few photos and take in the beautiful sights before you're whisked back to the designated drop off point at Shinjuku Station West Exit. Perfect View of Mt. Fuji. everything is perfect from location.strswberry picking to mt.fuji to kachi2 to lunch time to fuji again. No dull moments with Ms. Yoko she was very patient, accomodating and friendly. I will give 10/10. thank you klook. Best Tour. will recommend. Perfect View of Mt. Fuji. everything is perfect from location.strswberry picking to mt.fuji to kachi2 to lunch time to fuji again. No dull moments with Ms. Yoko she was very patient, accomodating and friendly. I will give 10/10. thank you klook. Best Tour. will recommend. Definitely worth every penny. The driver‘s driving skill is so constant and smooth the whole journey. We enjoyed a very very comfortable ride. Tour guide is great too with good English. Mt fuji is definitely a must visit. So happy to see snow too!! Great for family with kids and old folks. Thumbs up!! Definitely worth every penny. The driver‘s driving skill is so constant and smooth the whole journey. We enjoyed a very very comfortable ride. Tour guide is great too with good English. Mt fuji is definitely a must visit. So happy to see snow too!! Great for family with kids and old folks. Thumbs up!! This is a hassle free trip. We really enjoyed the unlimited strawberries and the majestic view of Mt. Fuji. Due to road closure, we did not go to the 5th Station. our tour guide is really accommodating and can speak English very well. This is a hassle free trip. We really enjoyed the unlimited strawberries and the majestic view of Mt. Fuji. Due to road closure, we did not go to the 5th Station. our tour guide is really accommodating and can speak English very well. My family had lots of fun during the trip! 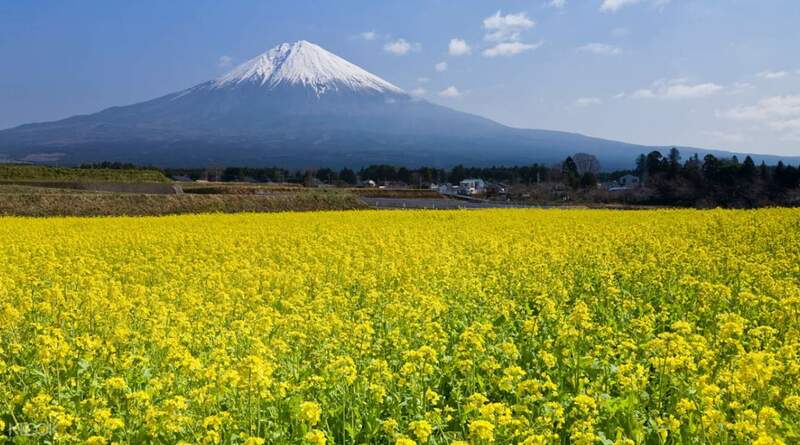 I highly recommend this to everyone who wish to have a fuss-free Mt Fuji day trip. It was hard to find exit N3 base on the instruction given in the voucher. However if you come out of Shinjuku Station (West Exit), look out for Bus Station and Mode Building. At the corner of the building, look out for a guide with the HIS flag. Our tour guide name is May, she is very friendly and very informative; she will share details about the surroundings throughout our bus ride. The visit to the Strawberry farm was fantastic as we get to try various types of Japanese strawberries. After speaking with the local farmers, we found out the right way to enjoy a Japanese strawberry. The next stop was Lake Kawaguchi, fantastic view! Hoto noodles that were served during lunch was delicious!!!! Kachi Kachi Ropeway provides us with an even more amazing view of Mt Fuji. It was raining earlier in the morning but thankfully the skies cleared up. We couldn’t go to 5th station due to the snow but thankfully our driver and tour guide manage to check that 1st station is open; so we headed to the 1st station instead. We also visited the Fujisan Heritage Centre where we learn about the formation of Mt Fuji. My family had lots of fun during the trip! I highly recommend this to everyone who wish to have a fuss-free Mt Fuji day trip. It was hard to find exit N3 base on the instruction given in the voucher. However if you come out of Shinjuku Station (West Exit), look out for Bus Station and Mode Building. At the corner of the building, look out for a guide with the HIS flag. Our tour guide name is May, she is very friendly and very informative; she will share details about the surroundings throughout our bus ride. The visit to the Strawberry farm was fantastic as we get to try various types of Japanese strawberries. After speaking with the local farmers, we found out the right way to enjoy a Japanese strawberry. The next stop was Lake Kawaguchi, fantastic view! Hoto noodles that were served during lunch was delicious!!!! Kachi Kachi Ropeway provides us with an even more amazing view of Mt Fuji. It was raining earlier in the morning but thankfully the skies cleared up. We couldn’t go to 5th station due to the snow but thankfully our driver and tour guide manage to check that 1st station is open; so we headed to the 1st station instead. We also visited the Fujisan Heritage Centre where we learn about the formation of Mt Fuji. The meet up location was easy to find. If you were like me expecting to find some signs at night, don't bother, it would be a waste of time. Just be there by the appointed time, the place will be bustling and you won't be missed at all cos they will wait for you. But be nice, don't be late. We were brought to a stop to freshen up before heading to the fruit farm, depending on the time of the year, you'll get to pick certain fruits and for us, we got huge red sweet strawberries! Along the way we were told we couldn't visit Mt Fuji due to icy roads but they mentioned they would bring us to the museum, so we were ok. We went to Lake Oishi and had blueberry ice cream! Not to be missed! and had Lunch near the kachi ropeway! The hoto noodles (if I rmb them right) was superb and my picky little eater wanted more!. Bad time to be there for the kachi ropeway, queue was really long but the scenery up there was splendid and we were so happy they gave us extended time. I think we were all late by half and hr to 45 mins. We headed to Mt Fuji 1st Station as they said that's the closest we could be which was basically just a bus stop but the people there were very friendly and looked out for ur safety too! It wasn't much but it was still a good view. Our last stop was the museum. It was educational and we had a great time overall. Due to weather conditions and period, we expected it. But we were blessed with a very clear view of Mt Fuji. The meet up location was easy to find. If you were like me expecting to find some signs at night, don't bother, it would be a waste of time. Just be there by the appointed time, the place will be bustling and you won't be missed at all cos they will wait for you. But be nice, don't be late. We were brought to a stop to freshen up before heading to the fruit farm, depending on the time of the year, you'll get to pick certain fruits and for us, we got huge red sweet strawberries! Along the way we were told we couldn't visit Mt Fuji due to icy roads but they mentioned they would bring us to the museum, so we were ok. We went to Lake Oishi and had blueberry ice cream! Not to be missed! and had Lunch near the kachi ropeway! The hoto noodles (if I rmb them right) was superb and my picky little eater wanted more!. Bad time to be there for the kachi ropeway, queue was really long but the scenery up there was splendid and we were so happy they gave us extended time. I think we were all late by half and hr to 45 mins. We headed to Mt Fuji 1st Station as they said that's the closest we could be which was basically just a bus stop but the people there were very friendly and looked out for ur safety too! It wasn't much but it was still a good view. Our last stop was the museum. It was educational and we had a great time overall. Due to weather conditions and period, we expected it. But we were blessed with a very clear view of Mt Fuji. Everything was perfect and I truly enjoyed this tour. We were lucky to see Mt. Fuji and go up to the 5th station. The udon lunch was really delicious too! And the all you can eat strawberries was a really good start! I highly recommend this tour. Everything was perfect and I truly enjoyed this tour. We were lucky to see Mt. Fuji and go up to the 5th station. The udon lunch was really delicious too! And the all you can eat strawberries was a really good start! I highly recommend this tour. very recommendable trip! its contained transport and signature lunch hokkaido ramen. Really provide enough time for u to take picture and hanging around at Mount Fuji. Cherry picking its so fun and my kids (15yo,13yo,5yo & 4yo) were so excited picking and eating in the farm.. very recommendable trip! its contained transport and signature lunch hokkaido ramen. Really provide enough time for u to take picture and hanging around at Mount Fuji. Cherry picking its so fun and my kids (15yo,13yo,5yo & 4yo) were so excited picking and eating in the farm..